Q fever,Coxiella burnetii, in Angora goats can potentially be associated with abortions and peri-natal deaths although the incidence is unknown and more research is required. The role of Q-fever in abortions is also uncertain as antibodies have been detected in goats aborting as well as those not aborting. C.burneti ( classified as a rickettsia) cycles between ticks and small mammals. The coxiella localise and multiply in the genital tract and udder. At birth large numbers of Coxiella are discharged in the fluids contaminating the environment. Susceptible goats can then also become infected by inhaling or ingestion. 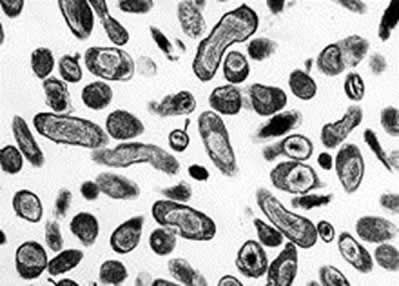 Coxiella is a zoonosis causing a fever in humans. The condition is usually subclinical but can rarely cause abortions. Rarely a low grade fever occurs. Abortions are more common in goats than sheep and abortions of up to 50% in a flock have been recorded. Ewes may not show any signs apart (just late abortions). No PM lesions on the foetus can be found. Tetracyclines are the drug of choice.